I moved, once, from a London commuter county to the edge of the world. I did not live in the village where I was head teacher. No : I made very certain not to. I chose a tiny place slightly inland with an ancient church where the bellas rang out on Sundays and it had a good pub. But I had neglected to foresee the affinity of the Cornish for a good rat run. The shortest route from the village to the nearby market town led straight past my window. And thus, life was never, ever private. I would lean back and stretch after weeding a patch in the front garden and a noisy carload of children would cheer raucously by:”Hello, Mrs Shrewsday!” would come the good-natured bellow. My house felt like a television set the locals could switch on at the flick of a button. I had not bargained for being such a very public figure. When Maddie made her presence felt, we moved to a cheaper town on the edge of Dartmoor. My window looked out on fields and I chose to speak to as few people as possible. The A38 streamed by, not half a mile away, and I gloried in the anonymity this new life had brought. Moving away from yourself: it’s a good trick if you can do it. We upped sticks and left the goldfish bowl: but a goldfish can reinvent himself in other ways: especially if it a very literary goldfish bowl. It does pay, though, to remember who you were in the first place. Best to start by writing in two languages, not one. If you write in both French and English you have two distinct audiences straight off. Then invent myriad childhoods. Truth is not in charge here: multiple fictions are the order of the day. And this is how Romain Gary started. Was he born in Moscow, or Kursk, or Vilnius, Lithuania? Was his name Roman Kacew? Was his mother Russian or French? The details morph effortlessly in the hands of this master. Romain Cary arrived in France at the age of 14, and went on to study law before joining up as a pilot in the Free French Forces of World War II. And then the books began. Brilliant, mercurial works of wit and wonder, in two languages(though the French are generally thought to be better). They brought him instantly to national acclaim. In 1945 he won the Pris Des Critiques for A European Education. What was it make Cary want to step away from the name? 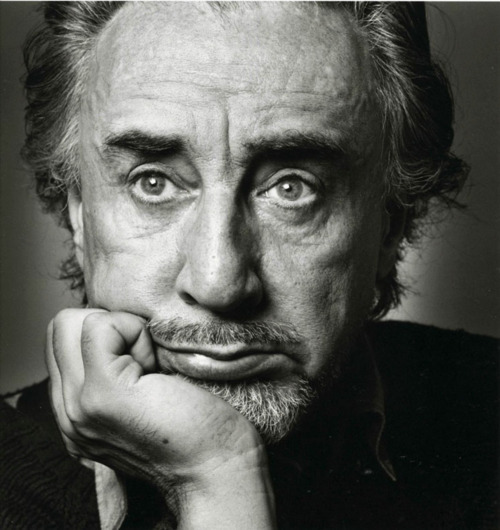 In a posthumous confession, Gary says: ‘I was tired of being nothing but myself … (and) of the Romain Gary image I had been stuck with once and for all during the previous thirty years’. Step away he did. In the early 1970s, he wrote a manuscript entitled Gros-Calin. He had it sent to his publishers from Brazil, under a new name: Emile Ajar. Naturally it was shortlisted for the Renaudot Prize for new novelists. Gary panicked. He withdrew, and hired his cousin’s son to be Ajar for real. The second book under the name – A Life Before Us, 1972 –was awarded the prestigious Goncourt which one can only win once. Predictably, Gary had already won it. Deception, deception. It does tangle one up so: or it may be that Gary was happy in the midst of this spider web of alternative realities. The ending is unhappy: he took his own life, in Paris in December 1980. Yet he left a trail of brilliance behind him. Posted in Quirks of HistoryTagged Emile Ajar, French writers. literature, pen name, Romain GaryBookmark the permalink. Brilliant. Have you ever pretended to be someone else, a fictional someone? I am someone else 😀 Though, my name is Kate. So it’s confession time? I’m me here, but not always! I blogged for many years as someone else and only began to be me when my book was published (non-fiction). I love the freedom of still being able to write with anonymity. Thanks, Myfanwy 🙂 Anonymity is often a pleasure, sometimes a necessity! Am I a disgrace to my literature degree if I confess that I have never heard of this man under any of his names? Me neither, Till, though he sounds fascinating…. This is such an interesting conundrum Kate – I wonder how many bloggers post under an assumed name, a different gender, gender neutral, or even an assumed identity? Not me. It’s hard enough being one person. I couldn’t deal with all the extra anxieties of another. 😀 Roger it is, then, Roger…. Wow: hoaxers who can create their own reality to attract attention. Sobering stuff. Hurrah, I can still call you Tom and you can still call me Kate…it’s like a Venetian masked ball, isn’t it? Never heard of him so is it bad? Sometimes I do feel that anonymity brings a certain level of liberation which is otherwise not possible. It does, Jas: and I use it specifically because I blog about my family. If I ever need to walk away I can, and no one would track us to our lair. On a personal level, I considered blogging/writing under a mom de plume, but even that felt too stressful. In the end it actually seemed easier to just own my identity. Of course, I don’t see multiple book awards in my publishing future, so that simplified the decision a bit. 😀 He did rather make a cross for his own back being so darn good at it, didn’t he, Cameron? I love your writing, Kate. So quintessentially English – with the warmth and grace of a steeping cup of tea with scones and clotted. The intro paragraphs were particularly mesmerizing. I shall have to come here as often as I have time. MJ, thank you very much….I shall look out for your latest nom de plume in the best seller lists 😀 The intro paragraphs are steeped in fairly vivid memory. That part of Cornwall is truly bewitching. I don’t think I’d have ever started blogging if I hadn’t used the Tinman name, I’d have been too shy. Now I really like the persona, though he’s just me with, but with a fear of magnets. So do the rest of us, Tinman. And not only that but Mrs Tin and Tingirl. Great stuff. As Pseu I am being me, to a different audience! Very few who know the real me know of the blog. Originally Pseudonym, I am also known as Nym to a select few, though have never put that up as a screen name. And for NaNoWriMo another name again. It’s fun! I love Nym. What a fantastic name. I must look for that Nano nom de plume…. Another author for me to dump into my reading list, Kate. The NY Times today had a big story on Dawn Powell, another writer from that era, whose journals are going to auction. I’d never heard of her, but her novels set in 1940’s Manhattan sounded interesting enough for me to look them up. Here’s a link to the story if you’re interested. I loved this!! I am still posting under an my PinkPolkaDot name and I would have been to shy to start blogging under my own name!! Nowadays I post my own name on some blogs! Gosh oh my! After reading this and all the comments, I just don’t know myself anymore. Oh well, back to my nether world cyber pod. Good idea….who did you say you were again…..? Was out and about all day so just now making time to comment. I, too, confess never hearing of this man, by any name, yet when I Googled him, I immediately recognized the name of his wife, Jean Seberg. The thing that struck me about him was not the business of his multiple personas, but the fact that you’ve written about yet another brilliant person who took his own life. I find it incredibly sad that so many truly talented people seem to be such tortured souls who take so little joy from their creativity. Everyone knew me where we used to live. I couldn’t go to the grocers, out to eat, festivals, nothing without being approached. When we moved here, I delighted to know that I could go to the grocers, without makeup, and be, well, be anonymous. Not! First trip out, I heard my name . . .
Dear Kate, have you ever read Hermann Melville’s “The Confidence Man”? I read it in grad school long years ago and found it quite terrifying–never knowing who is who. Peace. More books for me to check out–thank you. I knew the name Romain Gary, so I looked him up and found Jean Seberg–aha! I remember when she died but had no idea Gary was anything besides her husband. I blog under my own name because when I began, I didn’t have sense enough not to. If I ever produce a book, my last name is too near the end of the alphabet to attract attention. So I shall adopt the pseudonym Agnes Christie. Funny the drive some authors have to go under different names – just to see if they can make it again? Generally, when they do they do. Sometimes, though, the publisher insists on lifting the veil on the back cover so as to sell the books, which rather defeats the object. I started very anonymously, but due to this unreasonable desire of mine for people to read my books I have come right out of the closet. Understandable, Col 😀 You’ve got It: might as well flaunt It! Brilliant! Now i have to go read up on Romain Cary.